someone was stealing wood in the night . first pic was a big ball and everything els was dark and the ball was big . thn i took some othrs andonly one showed up with a bunch of orbs in it what does this mean ? I used to live in a house that had real ghost in it and some of the pictures are posted on this site, in about 90% of the pictures I took had orbs in them. try this, while lying in bed have the camera with you and take a picture after you slap your blankets. its DUST . little pieces of dust that look like orbs. 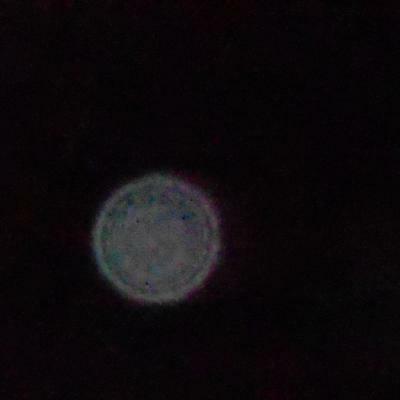 in one of my pictures I saw through the camera a blue round orb with a black center. I got 2 pictures of it, 1 at the bottom of the stairs and 2 coming up the stairs. when I zoomed in on the 2nd picture the orb turned into a one eye with a lot of sharp teeth in a smile. that's ghost orb.